Shakespeare in Sinhala? The Bard’s dramas are complex enough even in the original language and it is certainly no easy task to translate them into any other language. Yet this is a feat that Tony Ranasinghe excelled in with remarkable success. 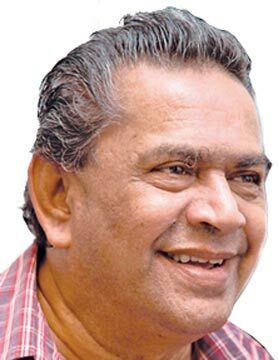 Ranasinghe Hettiarachchilage Ignatius Anthony Silva, popularly known as Tony Ranasinghe, was better known as a veteran thespian who made the silver screen (and later the small screen) come alive with his riveting performances. But not many people knew that he had an intimate affinity towards Shakespearean drama as well. It was a passion that kept him enthralled right up to his last breath last week, at the age of 77. Tony got his first taste of Shakespeare at the tender age of 11, in 1948, the very year Sri Lanka gained Independence. As the celebrated British actor Sir Laurence Olivier strode on to the movie screen as Hamlet, little Tony was transfixed. His young mind instantly knew what he wanted to do – become an actor and play Shakespeare. But little did he know that he would one day become the man who would take the words of the Bard – in Sinhala – to a whole new audience of readers. He was working on ‘Midsummer Night’s Dream’, ‘Hamlet’ and ‘Much Ado About Nothing’ when he was called to Rest. Over the last few years, he has released the Sinhala translations of Twelfth Night, Julius Caesar and Othello which were eagerly received by readers who have come to love Shakespeare. He dismissed the idea that Shakespeare was alien to local readers and theatre goers – as far as back as 1884 veteran dramatist C. Don Bastian had translated Romeo and Juliet into Sinhala and staged it. “I have a craving for Shakespeare,” he once told an interviewer. Indeed, he could recite many of the verses from memory. And his craving has made the local literary scene richer and it is hoped the books he was working on will be published soon. Tony did not translate for the sake of translating – he had an innate desire to inform the reader and enrich the mind – for example in Julius Caesar, he traces the background, gives an overview of Rome and its history. He brilliantly analyses the play in the context of historical developments before coming to the play per se. He also presents a lengthy discussion on Shakespeare’s life and his contribution to literature. Entertaining, yes, but even more informative. Two incidents conspired to give Tony the chance to immerse himself fully in Shakespeare. After an attack of cellulitis in 2007 he had to undergo a calf operation. A stomach ulcer in 2011 also called for surgery. Doctors recommended he should not undertake any strenuous activity, and acting was one. Having taken a clean break from celluloid, he had ample time to concentrate on translating and writing. Today, we know of Tony mainly as an actor – and indeed it was Shakespeare’s medium – the stage – that made him one. An old boy of St. Anthony’s College Wattala and De LaSalle College, Modera, Ranasinghe was inspired by Tower Hall dramatists W. Livinus Perera and S.D. Steven Silva who were also from Modera, where Tony was born. Hailing from a devout Catholic family, he was also inspired by some of the Christian plays staged at his local church. Having seen these performances on stage, Tony had a deep desire to get into acting as a career. This chance came in 1963 with the stage play ‘Ran Thodu’. And he won the Governor General’s Award for Best Stage Actor for his role. From then on, the ‘Ape Kattiya’ theatre group cast him in practically all of their stage plays. It was an auspicious start to a scintillating film, drama and teledrama career. Tony once recalled having met the legendary Sirisena Wimalaweera (owner of the Nawa Jeevana Studio in Kelaniya) to get a starring role in a film. He was accompanied on this mission by Arthur Amarasena, Sriyani Amarasena’s husband. Having asked a few questions, Wimalaweera offered to give Tony a chance in a film titled ‘Punchi Amma’, which never saw the light of day. But this dashing young man with a deep voice eventually caught the attention of another legend - Lester James Peries’ – who cast him in ‘Gamperaliya’ (1964). 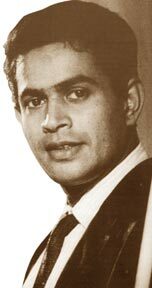 Accompanied by Sumitra and Gamini Fonseka, Lester had been impressed with his stage performance in Sugathapala de Silva’s drama ‘Boarding Karayo’ and had no hesitation in offering him a supporting role as ‘Baladasa’ even though most of the casting had already been done. This was Tony’s first starring role. Over the years, he would work with Lester on many more films.Tony never looked back after the success of ‘Gamperaliya’, based on martin Wickramasinghe’s seminal work. 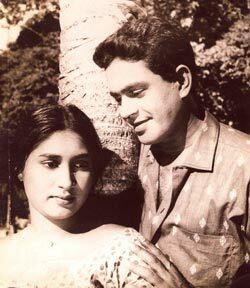 He was awarded the Best Supporting Actor Sarasaviya Award in 1966 for his role in ‘Parasathu Mal’. This was a major challenge for Tony – he had to work alongside the doyen of the Sinhala cinema Gamini Fonseka, who also directed the film. Best ActorSubsequently he won Best Actor Awards for ‘Hanthane Kathawa’ (1969, incidentally the first film of another screen legend Vijaya Kumaratunga), ‘Duhulu Malak’ (1976) and ‘Ahasin Polawata’ (1979). All these are landmark films in Sinhala cinema. In 1980, he played a memorable role in the critically acclaimed ‘Ganga Addara’. He was recognized as the Best Actor for 1993’s ‘Saptha Kanya’ by Sarasaviya, Swarna Sanka, Presidential Awards and OCIC. From 1964 onwards, he acted in nearly 120 Sinhala movies, right up to ‘Nil Diya Yahana’ (2008). Among his movies were ‘Senasuma Kothanada’, ‘Onna Maame Kella Penapi’, ‘Yahalu Yeheli’, ‘Getawarayo’, ‘Walmath Voowo’, ‘Unnath Daahai Malath Daaha’, ‘Adare Hithenawa Dekkama’, ‘Veera Puran Appu’ and ‘Hulawali’. Tony was also an accomplished screenwriter – ‘Koti Waligaya’, ‘Keli Mandala’, ‘Awaragira’, ‘Duwata Mawaka Misa’ and ‘Pavuru Walalu’ were all scripted by him. His grasp of the Sinhala language was exemplary and his dialogues were spot on. His transition to the small screen was seamless – he slipped effortlessly to teledrama roles. If not for the surgeries, he would have continued his teledrama career. Tony was a professional actor but like most others of his generation, he also had a ’day job’ first at the Department of Government Electrical Undertaking (later the Ceylon Electricity Board). Incidentally, this is where his screen name was ‘born’. Tony had long wanted to shed the Silva part of his name, but had not done so thinking that he would have to go through the hassle of inserting an advertisement in the newspapers, as is usually the case. But the Chief Clerk there offered him a splendid solution: as he was a government servant, he only had to inform the Shroff. And thus he became ‘Tony Ranasinghe’, Tony being derived from Anthony. Later on, he married Sirima Indrani Wickremasuirya, (who had no connection with the cinema) and was the father of four children. He also had six grandchildren.Tony did not like to call himself perfect and was humble enough to find out flaws in his performances on stage and on film. Every film was a learning experience for Tony, who always yearned to give a better performance the next time around. He entertained us for more than five decades through a variety of media and will live on in our hearts. Television will no doubt introduce a new generation of viewers to acting skills and his books will continue to bring Shakespeare to life.